Roaring Lion to Win at 11/4 with Black Type. It’s been billed as the race of the Yorkshire Ebor Festival, perhaps even of the British Flat racing season, and understandably so given the calibre of the horses entered in Wednesday’s Juddmonte International Stakes. Already ranked as Britain’s highest rated race by the International Federation of Horseracing Authorities, the Group 1 will become the richest race ever run at York, with £1million in the prize fund on offer. The International Stakes is the last middle-distance QIPCO British Champions Series race before the season-ending Champions Stakes at Ascot on British Champions Day. 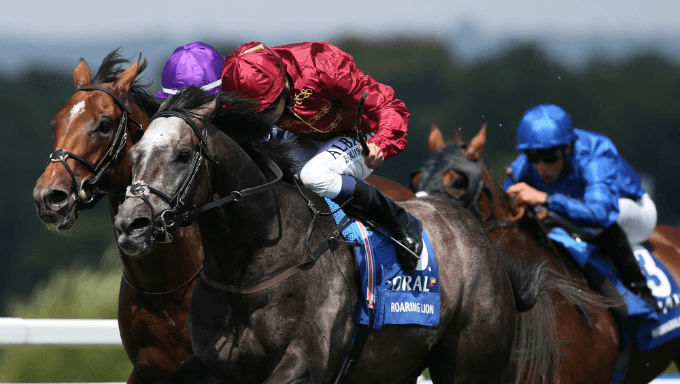 Poet’s Word and Roaring Lion will do battle on the Knavesmire on Wednesday afternoon with barely a cigarette paper between them in the betting. The pair dominate the betting for the 1m4f feature, but are not frightening away the opposition as Aidan O’Brien still runs 2,000 Guineas hero Saxon Warrior, while his son, Joseph, sends over the Irish Derby winner Latrobe. Poet’s Word is a top price of 7-4 with most horse racing betting sites, including 888Sport, but Black Type are stand-outs on the second-favourite, offering 11/4 about Roaring Lion to win - and that has to be taken. The Sir Michael Stoute-trained Poet’s Word landed the King George VI and Queen Elizabeth Stakes last month in an epic tussle with his stablemate Crystal Ocean, having previously won the Prince of Wales’s Stakes at Royal Ascot. Poet’s Word will be stepping back in trip from a mile and a half at Ascot to an extended mile and a quarter at York. But there are no grounds for concern as the five-year-old has already won a Group 1 at both distances. Stoute won the Juddmonte International with Ulysses last season, and also claimed the race with Notnowcato (2006), Singspiel (1997), Ezzoud (1993 and 1994) and Shardari (1986). He bids for win number seven in the race this Wednesday. The John Gosden-trained Roaring Lion was the decisive winner of the Dante Stakes back in May before finishing third to Masar in the Derby. Sheikh Fahad’s grey colt once again showed his class when winning the Group One Coral-Eclipse at Sandown in a scintillating finish from Aidan O’Brien’s Saxon Warrior. Oisin Murphy, who is enjoying by far the best season of his career, is excited by the prospect of getting back on board his Coral-Eclipse winner Roaring Lion in the Juddmonte. After working out under Rob Havlin on the July Course at Newmarket last weekend, the Qatar Racing Limited-owned colt looks set for another big run after smartly pulling clear of the lead horse during the gallop. Saxon Warrior will renew rivalry with his Coral-Eclipse Stakes conqueror Roaring Lion in the International Stakes. A neck separated the pair that day and Roaring Lion is favoured to confirm that form, with Saxon Warrior 5/1 to win at William Hill. The International Stakes will be the fifth time they have clashed, each having twice finished in front of the other, so who will come out on top on this occasion? I am siding with Roaring Lion at 11/4 with Black Type. looking ahead, Saxon Warrior's trainer says he intends to run the four-time winner in the Irish Champion Stakes at Leopardstown, should the Knavesmire foray work out well for the three-year-old. Cracksman’s season appears to be building towards more of an autumn campaign with John Gosden leaning towards taking in both the Arc and British Champions Day. Trainer David Menuisier and owner Clive Washbourn have decided to supplement the five-year-old grey Thundering Blue into the field at a cost of £75,000. He is the 33-1 outsider of the field.